What is CICA RE, and when was it established? (International Conference of Insurance Supervision) later termed CIMA (African Conference for Insurance Market) after a new agreement was signed in 1992. 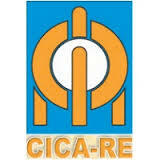 CICA RE started operations on 1st January 1984. The company currently has a share capital of $40 million with 65 percent equity held by 12 members of CIMA and 35 percent held by financial institutions, development banks and insurance companies, and has its head office in Togo. What is your mission in Nigeria at this time? Nigeria is an important market to us as a reinsurance company. Being a big insurance market in Africa and also a fast developing economy, it requires reinsurance capacity to meet its development needs. So, we are happy to give our own contribution to the growth of the economy by helping to build local capacity of insurers in this part of the continent. CICA Re as company has been doing business in the Nigerian market over the last eight years, and to compliment this relationship it’s important that we build local capacity to help the market develop more. So, that is why we have organised this two day seminar on reinsurance accounting, programming and clauses, to enable us interact with our partners and further grow our relationship with the Nigerian market. With this seminar, we have brought together technical staff of our partner insurance companies and this directly or indirectly will bring us closer to them and further expand our portfolio in the Nigerian market. You mentioned that Nigeria is a big market, what is big about the market? Nigeria you know is the biggest and fastest growing economy in Africa. And given its large population and rich natural resources, any forward looking organisation interested in Africa would find Nigeria an important place to be. And if the economy must develop, insurance is critical and that is why reinsurance must also be part of the development. The risk profile is also increasing with development. This is why we are here to help build capacity. Despite the huge insurance potential in Africa, the Continent’s market still contributes low to the global size. What is the challenge? It’s a big challenge facing our Continent, particularly that we have the population and natural resources. Unfortunately, the rate of penetration is low. And the African countries cannot develop without a developed insurance market because insurance will have to stand to absorb risks suffered by businesses as well as provide long term funding for other sectors of the economy. So, the challenge is how Africa will retain maximum quantity of the risks emanating from the continent to enable development take place. This is why we must give businesses to local reinsurers in Africa, rather than taking the business outside Africa thereby encouraging premium flight. We also need to develop the agricultural insurance market across Africa because majority of our population are farmers and needs some of this cover to remain in business and be able to manage their risks. As an Organisation, what is CICA Re doing about this challenge facing the African market? We have identified some of the challenges facing the market ranging from low penetration to lack of products to cover specific risks in our continent. So, we are working in conjunction with some older reinsurance companies in Africa and at the African insurance Organisation to see how we can tackle these challenges. We have had discussions and have also come up with Africa Catastrophic Risk to enable the Continent build capacity for natural catastrophe risks and pricing. Irrespective of what your organisation is doing in Nigeria, what other efforts are you making to develop other markets in Africa? As an international organisation, we have supported capacity building in CIMA Countries in the francophone zones, in East Africa and also North Africa. We are committed to building capacity in our continent. The steps we are taking now is to go beyond the CIMA markets where we are well established and also leading reinsurance businesses, to other parts of the continent. We are expanding to other regions in Africa with operation office in those regions. We are in Nairobi now and by the end of the year we will open office in Tunisia for the North Africa. For Nigeria, we do not have immediate plans to open office yet, but we are trying to support capacity building at the moment to further develop the market. With emerging risks like terrorism and kidnapping in our continent, how prepared are reinsurers? In the past it was not a reality in our market, but today we are right in it and the industry in Africa are beginning to look at it seriously. Since the attack on Westgate in Nairobi Kenya it has become a serious issue of concern to everyone. 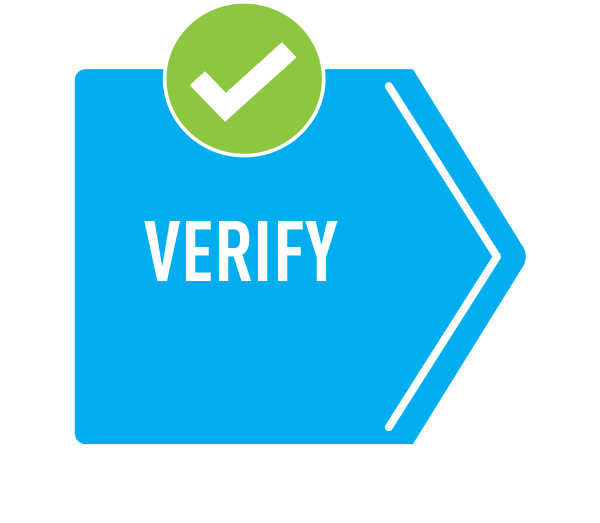 Right now, there is terrorism cover in the market, and we also buy terrorism cover from outside for our CIMA member insurance companies. This seminar you are holding in Nigeria today has been well attended. Is it a one-off thing or how often do you intend to hold this? The target is to make it more regular. But we will first of all review what we have done now and strategise. But the fact is that we want to be closer to this market and in whatever way we can we will do it. This market is important to us, and if the report by PwC is anything to go by, all things being equal, Nigeria will up stage even the US by 2050 as among the first nine largest economies in the world. It therefore makes sense to show interest in the market. Where do you see African insurance market in the next five years, and where will CICA RE as a brand be? We are optimistic about the future of our market, and we have seen positive trends of growth over time. Despite the crises in the Western World, Africa remained on growth trajectory and various markets are making progress and we see this sustained over time. For us at CICA RE, we believe we shall ride with the trend given our performance on year on year basis. What we need to continue to do as reinsurance companies is to continue to build capacity so that a growing proportion of the premiums will be retained here. Specifically, for CICA RE we have maintained a growth rate within 15 to 20 percent, in the last five years, and we hope this will increase as we draw closer to our clients through opening of more regional offices.